Ship from Hongkong. 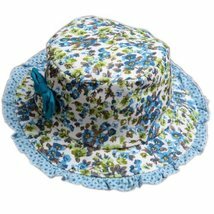 This baby girl sun hat is made of pure cotton. Protect your baby girl from strong sun light in summer. Perfect for beach, strolling and any other outdoor activity-use. Suit for baby around 3 years old. Select the best fitness size for your baby according to its size around 50 cm.